The process of hacking the current Windows 10 on ARM builds (for the 'Desktop') back to the original Lumia 950 range has never stopped and there are a few data points below showing progress. In summary, Windows 10 on ARM runs just fine, if slowly, though the modders still haven't got Wifi or cameras working so... hold off still unless you just like playing with a spare Lumia....! 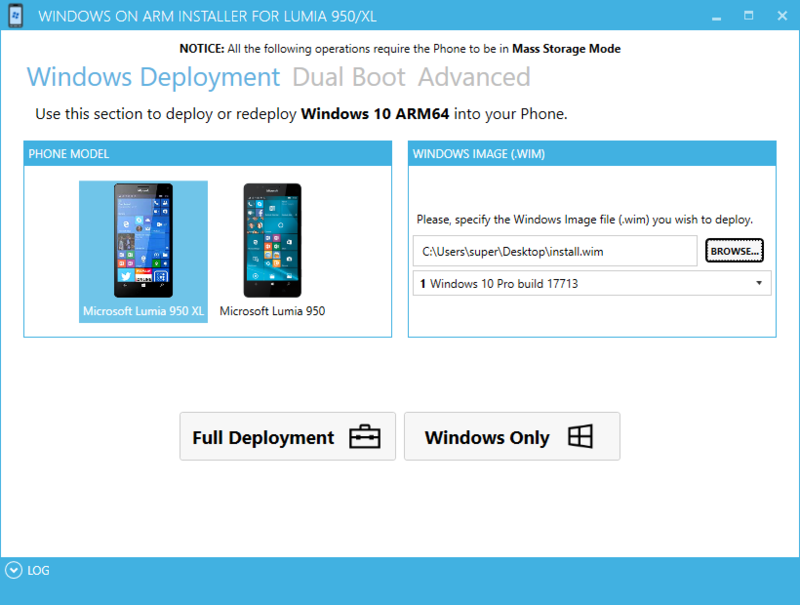 Today, developer José Manuel Nieto has released a new third-party tool that allows you to install Windows 10 ARM on Lumia 950/XL and dual-boot with Windows 10 Mobile. To port Windows 10 ARM to your Windows Phone handset, you’re supposed to unlock the bootloader of the Lumia 950 XL by using WPInternals tool and connect the phone to the PC with a USB-C cable. Download Windows 10 ARM64 image, WoA installer and core packages from here. After downloading the files, run the tool, import core packages from the advanced settings, and follow the on-screen instructions to boot the OS on your phone. Developer José says that performance of WoA is actually decent on Lumia 950 XL, but the project also does a fine job on slightly underpowered Lumia 950. I can't think of a good reason why a sensible 950 XL owner might do this for actual day to day use (yet). But it's fun to play, eh? And when Wifi works I'll be giving this a go on my own 950 XL and will report back in, no doubt, gory detail on the good and the bad! The latter may well include the camera, since apparently this isn't included yet. Showing just how much mobile-specific middleware is included in Windows 10 Mobile? In the meantime, note that Windows 10 Mobile is effectively Windows 10 on ARM too, so you're not really gaining much, other than compatibility with some recent app and game releases.